Update #10 – New Le Lenny Face List ( ͡° ͜ʖ ͡°)ﾉ⌒♡*:･。. Update #9 – dongers, shrugs, pigs and more cats! (●っゝω・)っ～☆HELLO☆ Today we added a whole new bunch of kaomoji emoticons, like pigs (´・(oo)・｀) and (₌ㅇᆽㅇ₌) cats! ヽ༼ຈل͜ຈ༽ﾉ Dongers and ¯\_(ツ)_/¯ shrugs were also added just a while ago. 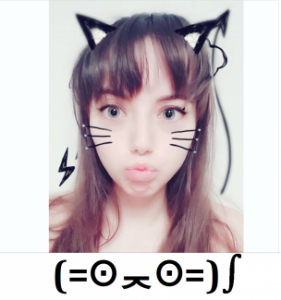 Expect to see even more kaomoji soon! Update #7 – Hugs, Love and SPARKLES! Update #6 – Happy Valentine’s day! Update # 4 – Anime and New Year’s kaomojis! Update #3 – Merry Christmas!